Coordinates the parasail program on the island for the safety and enjoyment of guests. Operates the watercraft, provides instruction throughout the session for the safety and entertainment of the guests. 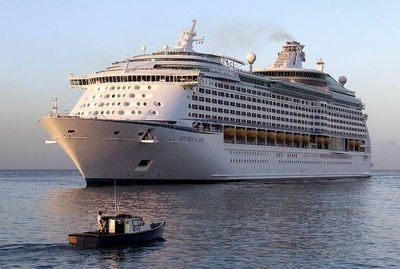 All duties and responsibilities are to be performed in accordance with Royal Caribbean International’s brand standards, SQM standards, USPH guidelines, environmental, and safety policies. 2. Coordinates the SeaTrek Parasailing program in accordance with the Aquatics Department Standard. Operates the Parasail Boat for the SeaTrek water sports program on the island. Monitors and conducts parasail orientations to inform guests of the activity and the operation of the equipment. Participates with SeaTrek team members in the parasail operation. Provides guests with instruction, orientation and ensures the guests are properly wearing the flight harness and personal floating device (PFD) equipment. Maintains a constant awareness of the guests’ whereabouts and their safety. Responds to any type of emergency. Performs life saving procedures and CPR. 3. Performs routine maintenance, cleaning and service with the assistance of the Aquatics mechanic on all parasail boats ensuring expendable items and safety equipment are ordered and stocked for the boat. 4. Provides on-the-job training to crewmembers. Notifies Dive Manager regarding work schedules and time records. 5. Collaborates with the Dive Manager to assist with SeaTrek activities when the vessels are not operational due to inclement weather conditions or mechanical problems. 6. Inspects parasail boats, supplies, equipment, and work areas, to ensure efficient service and conformance to standards. 7. Maintains logs and records on all parasail boats and equipment. 8. Prepares requisitions for supplies and equipment to ensure quality and timely delivery of products. Receives, issues and takes inventory of supplies and equipment, and reports shortages to designated personnel. 9. May conduct guided wave runner and kayak tours as requested. Instructs the guest of the proper use of the equipment. Maintains a constant awareness of the guests’ whereabouts and their safety. Responds to any type of emergency. Performs life saving procedures and CPR. 10. Participates in the building or repairing of structures related to the SeaTrek program such as floating docks, buoy lines, lifeguard stands, or as directed by the Dive Manager. 11. Participates in physical and weekly rescue training. 12. Participates in testing new equipment promoted by Company. Prepares a detailed written report to the shoreside department regarding the feasibility of purchasing the equipment for the SeaTrek program. 13. Participates in maintaining a clean working and living environment on the island. 15. Onboard the vessel, works daily shifts promoting and selling SeaTrek activities for the islands and various shore excursions. Provides information regarding the ports of call, shore excursions and general information regarding the vessel. Mainly needed for short periods of time onboard when transferring to and from Labadee. 16. Perform other duties and responsibilities as directed by the Dive Manager. 17. Attends meetings, training activities, courses and all other work-related activities as required by the Dive Manager. Professional Association of Parasail Operators (PAPO) Parasail Winch Boat Operator course. Minimum of 200 logged hours operating a parasail boat. Knowledge of the navigational geography of the coast line and surrounding ocean. Ability to apply customer service skills, according to Royal Caribbean International’s Gold Anchor Standards when interacting with guests and coworkers. Push-ups: ability to complete thirty-five (35) consecutive push-ups. The modified knee version is an option available to female candidates.